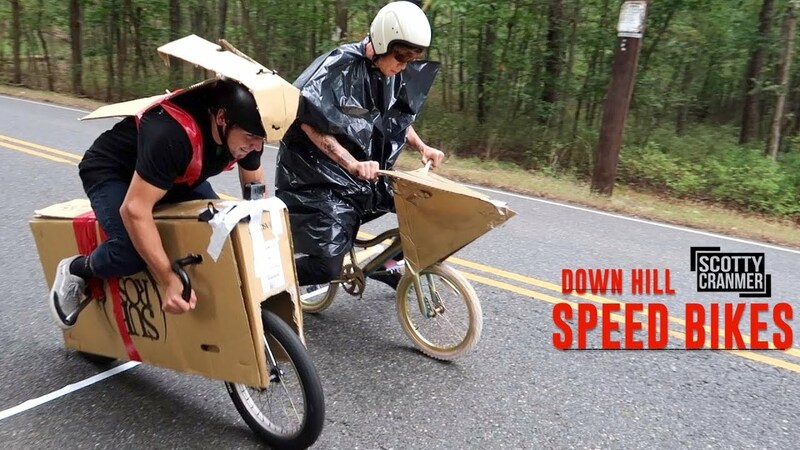 The Junk Bike Race Challenge is a race between two riders and they have to build a BMX bike out of random junk and make it as fast as possible so they can race each other down a big hill and see who designed, built, and rode the fastest junk bike! 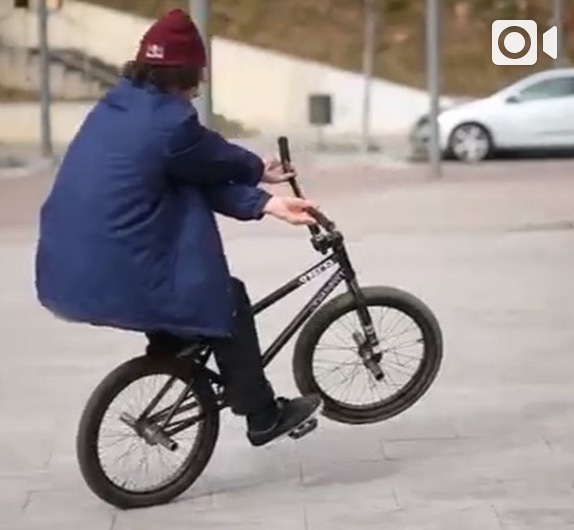 The race was so close and you wouldn’t believe just how amazing the bikes turned out! 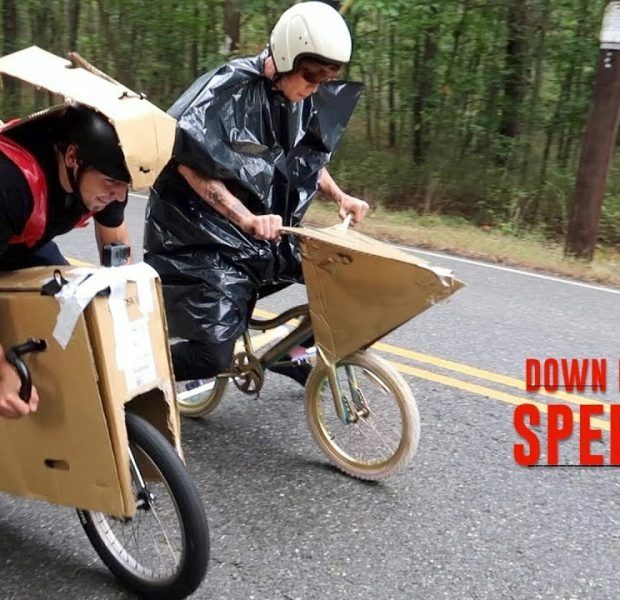 Matty built a bike out of a cardboard box!